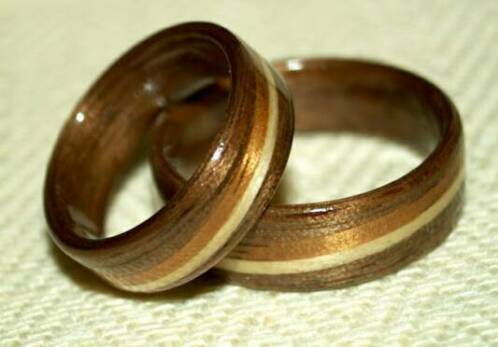 Walnut wood rings with spiraled bands of golden koa and clear juniper. You can choose any wood for inlaid bands. 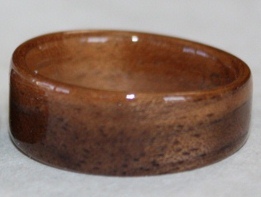 Walnut makes an excellent ring for adding contrasting or subtle bands. 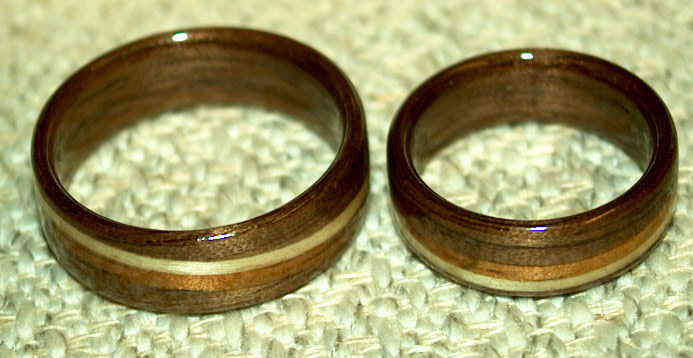 These rings are 6 and 7mm wide respectively with a slight taper on the larger ring.